I am all about the accessory, they make it so easy and often inexpensive to jazz up any outfit, especially if your basic uniform is jeans and a t-shirt the right accessories can take you look from boring to popping in a blink of an eye, for a lazy dresser like me this is a win win. A new but favourite addition to my accessory wardrobe, is a hair scarf. These babies are a lifesaver, and can be worn in several ways to hide a plethora of bad hair days, from roots, to needing a trim to just needing to wash your hair! 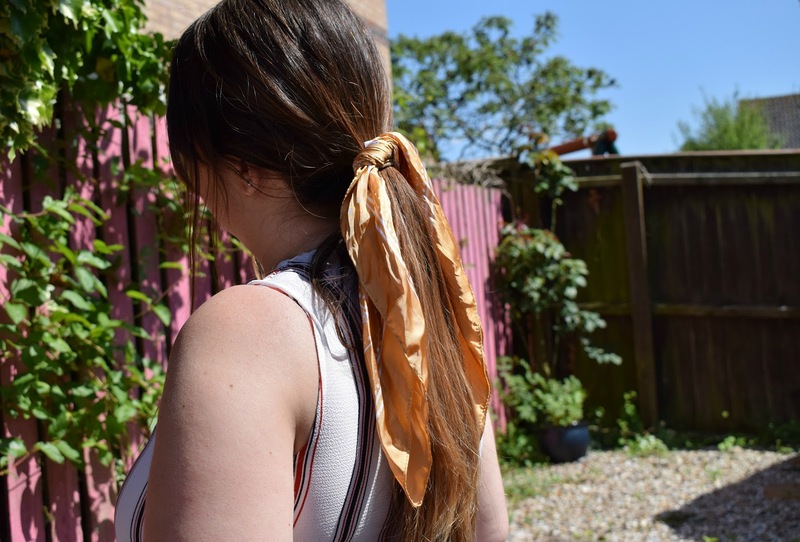 use it as a hair band and tie it at the back, wrap around a ponytail or bun, whatever you do it will make your hair look like you bothered to style it rather than you got out of bed half hour ago. I picked mine up in Primark for £2.50 and it was money well spent. 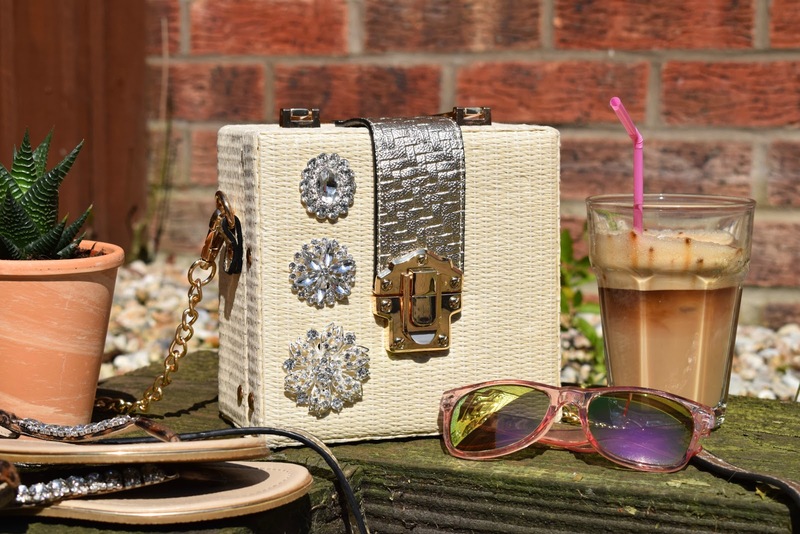 I've mentioned my bag of the Summer before but a woven or basket bag is a must have for your Summer outfits. They just scream Summer to me and look fabulous with any summer outfit for during the day or an evening out. 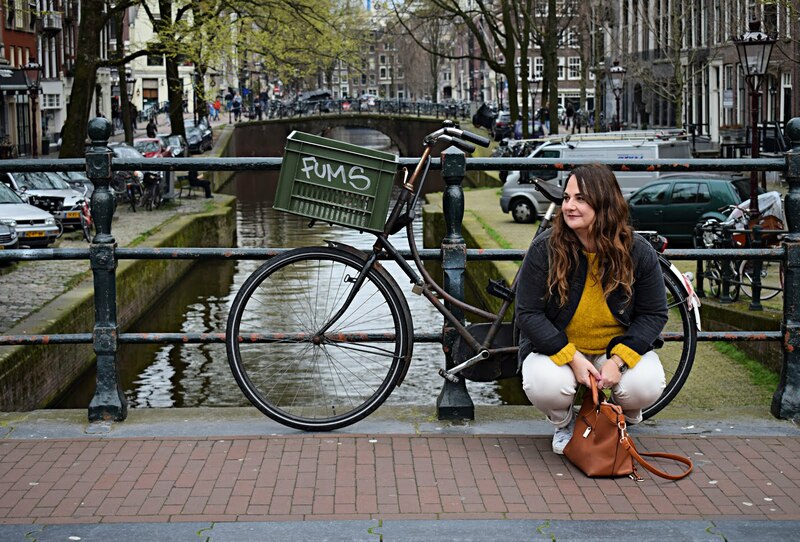 Go for a traditional basket, a circular cross body or box bag shape, whichever you choose you will be bang on trend, and totally "fashion" darling! Gold jewellery is everywhere right now and looks great in summer, whether its layered necklaces or gold hoops. I'm a massive fan of 90's style big hoops and you do not have to spend a fortune, all the highstreet stores have them, you only need to spend a couple of quid to look bling!!! 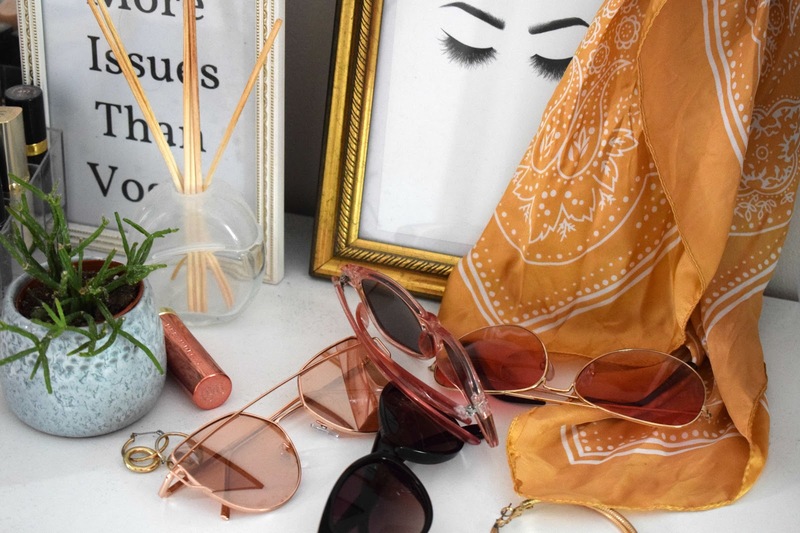 The one thing in Summer I simply cannot live without are sunglasses, I whip a pair of sunnies out at the first sight of sun, I have a tonne of pairs, but when you can pick them up for under £5 on the highstreet why not, in fact many of my favourite pairs cost £1 or £2 in Primark. So if you pick up a style you are not sure about or a pair just for a photo for the gram does it matter? When it comes to footwear, we only get a few months a year when we can get out feet out. So get those feet buffed and your toes painted and prepare to rock some sandals for Summer. 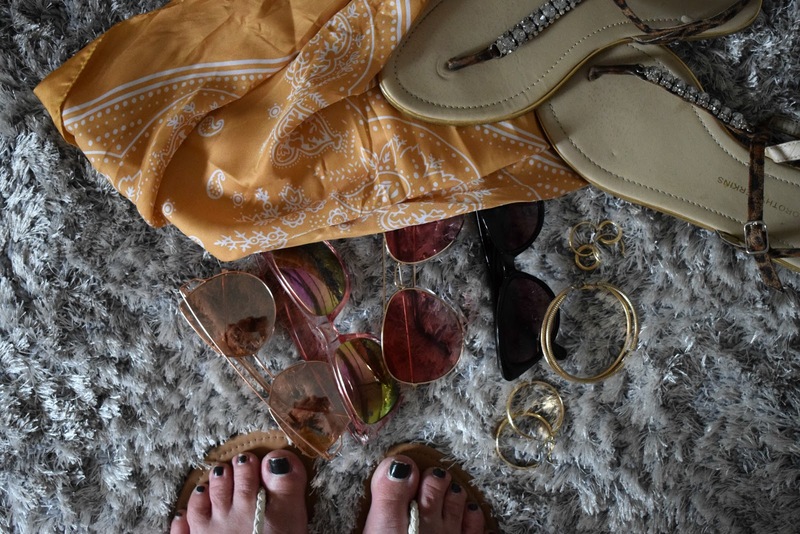 What you go for is up to you and your style, but whether you go for simple black or tan or something a bit brighter or even a bit of leopard print, sandals are the perfect summer shoe.